Basements have always presented challenges to builders in terms of making the basement environment a comfortable living space. Most problems are associated with moisture ( particularly during the curing and dry-out phase of the foundation wall). Depending on the time of construction, these problems can manifest themselves in terms of water vapour condensing against the foundation wall and freezing or condensing against interior vapour barrier surfaces which then pools within and at the bottom of the cavity. The end result is reduced thermal performance, potential rot in wood framing members and the growth of potentially toxic mould. 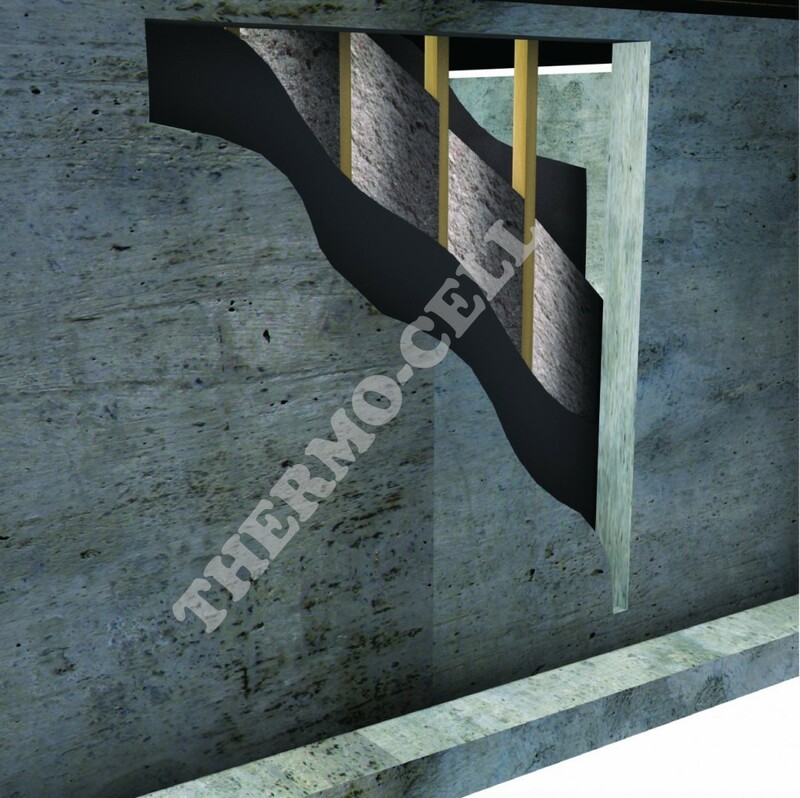 Thermoshield / ProCell offers the most comprehensive solution to moisture problems over batt insulation. Studies have shown that blown-in cellulose insulation such as Thermoshield / ProCell has the ability to prevent condensation from occurring within basement walls. Explanations for these findings stems from the fact that the product can absorb and hold water vapour and then release it back out of the cavity as the foundation wall drys toward the outside environment. Surveys conducted on mould growth in basements envelopes did not find any evidence of mould or rot in walls insulated with cellulose despite evidence that sporadic wetting occurred. These findings demonstrate the natural fungicidal properties of the borate based fire retardant chemicals used in Thermoshield . Not only do they resists the growth of mould and wood rotting fungi within the insulation but also helps protect untreated wood frame members from wood rot. One other common problem in basements envelopes is air leakage through joist headers. Thermoshield / ProCell seals these areas quickly and easily and can be blown or sprayed into small tight spaces that would be otherwise be hard to insulate with batt insulation. The choice is simple, economical and best of all Effective!